If you're in charge of picking Hillary Clinton's VP, pay attention to this 2015 focus group. This film proves you don't have to spend a zillion dollars to make something truly great, you just need true talent on screen and a good story. Start 2016 with a deep dive into last year’s top stories. 2015 has been a year of memorable milestones and moments for the White House Initiative on Asian Americans and Pacific Islanders (AAPIs), which is housed within the Department of Education. Nearly two-thirds still say they're not making enough money to live comfortably. It's hard to feel sorry for Republicans, given that they control both sides of Congress and two-thirds of state legislatures. Nonetheless, in 2015 the GOP's rank-and-file get royally conned, not once but twice. It's a bit of an understatement to say that 2015 was a roller coaster of a year for women. It wasn't unusual to have days where I was cheering in the morning and shaking my fists at the sky in the afternoon. These Things Happened in 2015 -- And We Predicted Them! 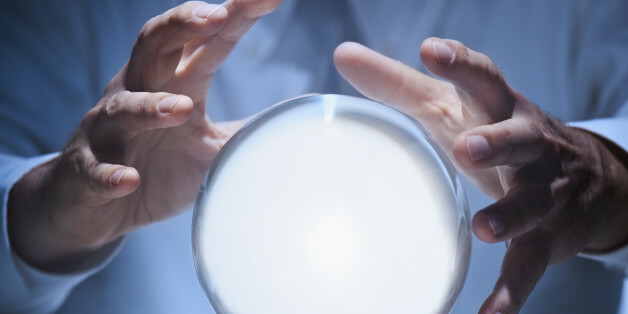 Sage users predicted the future this year, so we thought we'd look back on 2015 in predictions. Do you think you can predict what will happen in 2016? The calendar year of obsessing over identity may be drawing to a close, but the new year and many to follow will find us continuing to grapple with the reality of what our beliefs, narratives, and policies concerning race and the Other suggests about us. Well Santa has come and gone, at least for the largest proportion of the world's population. And, as we reach the end of the year, it is inevitably time to review recent trends and the prospects for 2016. These celebs had the best year ever. A lot happened in 2015, which made it difficult to choose this year's movers and shakers, but without further adieu, here is our 2015 list of the Top 10 Movers and Shakers in Sustainability (in no particular order). This past year, we profiled extraordinary couples who triumphed and overcame all odds to get married, as well as those who opened their hearts and helped those in need.